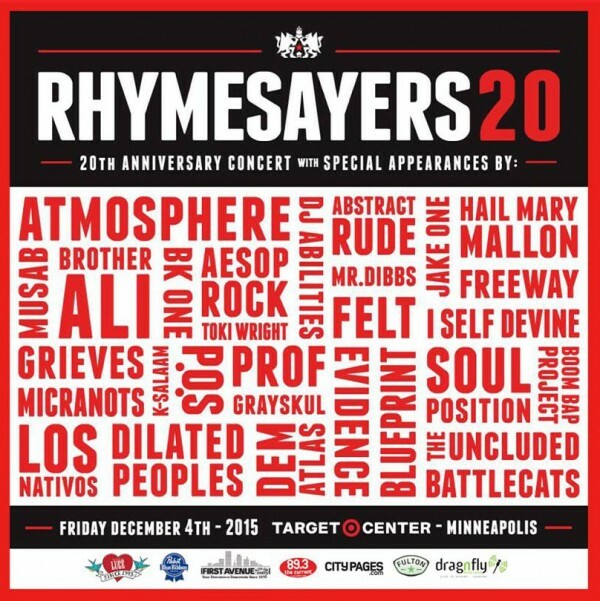 Rhymesayers are putting on an epic show for their 20th Anniversary. One night only at the Target Center in Minneapolis. Friday, December 4, 2015. Tickets still available here.